The University of Maine field hockey team continues its rise to the top as it has been ranked as the #17 team in the nation in the latest WomensFieldHockey.com poll. Maine also received 173 votes in the Kookaburra/NFHCA National Coaches Poll, placing them just one spot outside of the top 20. The Black Bears, currently riding a six game winning streak, sit at 6-1 overall on the season. Maine will carry its winning streak into Providence where it will battle the Friars on Friday at 2 p.m. before facing Michigan State in a neutral site game at Providence beginning at 2 p.m. on Saturday afternoon. The Black Bears opened up last season with a 3-0 victory over Providence at the Maine Field Hockey Complex. Brittany Fleck (Vancouver, British Columbia) picked up the shutout win in the cage for Maine while Jocelyn Mitchell (Kanata, Ontario) notched a pair of goals in the win. The Black Bears last faced Michigan St. in 2009, a road game in which the Spartans were ranked #8 at the time. Maine took a 1-0 lead into halftime on a first half goal by Kelly Newton (Vancouver, British Columbia) but the Spartans would rally for a pair of goals in the second half to take the contest 2-1. The Black Bears attack continues to impress as Maine is the top scoring team in the nation, averaging 5.43 goals per game with the next closest team being Rider at 4.80 goals per game. 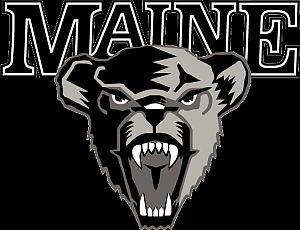 The Black Bears trail only California in points per game as Maine is currently averaging 14.14 points per game. Stephanie Gardiner (Vancouver, British Columbia) has 21 points on the year to lead the Black Bears and ranks seventh nationally in points per game at 3.00. Newton currently leads the nation in assists with 11. Gardiner took home America East Co-Player of the Week honors last week as she tallied four goals in Maine's three victories. Gardiner's first goal on Saturday marked her 100th point in a Black Bears' uniform. Gardiner joins Newton (129 points) in the Maine 100 point club. Mitchell will look to join the duo shortly as she currently sits at 93 career points. With a pair of goals in last Saturday's 8-0 win over St. Louis, Newton tied Janet Hoskin's record of most goals in a career while at Maine. Newton currently has 47 career goals, matching the record set by Hoskin from 1978-81. Newton's next goal will solidify her as Maine's all-time leader in goals scored. A pair of first's went down for Maine last weekend as Zoe Berkey (Duncan, British Columbia) tallied her first career goal in the win over St. Louis. In the same game, Alicia Frisch (Calgary, Alberta) tallied her first win and first shutout as she made two saves in the cage for the Black Bears.